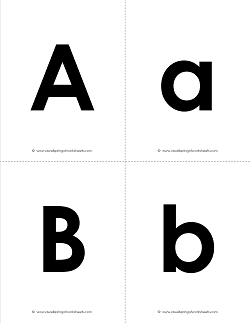 Letter flashcards in a big, bold traditional manuscript font. 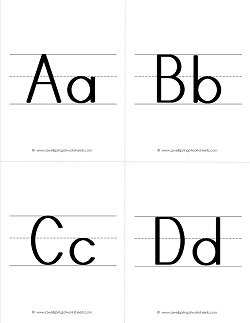 Each uppercase and lowercase letter is on its own cards giving you options for how to use them. 7 pages of 26 letter flashcards. 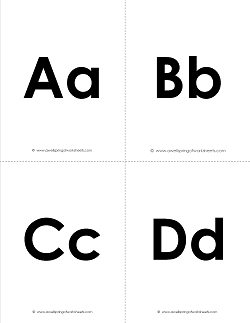 Our ABC flashcards have both uppercase and lowercase letters on the same cards. They are printed on primary writing lines in a traditional manuscript. 7 pages with 26 cards. 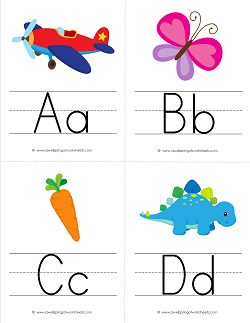 These abc flash cards have happy pictures for each letter that are sure put a pep in your step! 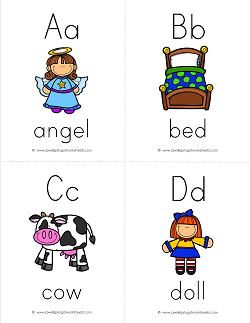 Uppercase and lowercase letters and a picture word are included. 7 pages with 26 cards. 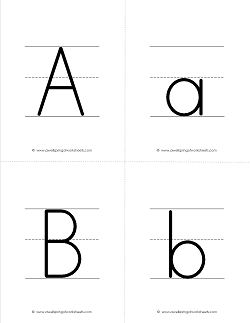 These alphabet flash cards with pictures have the upper and lower case letters on the same cards under the picture neatly printed on primary writing lines. 7 pages with 26 cards.